My friend needed a laptop replacement. He also wanted a nano because it was adorable. One thing lead to another and now I'm a father of 3! Err, wait... oh yeah the computer. So he was looking for something extra portable to complete the dainty feel of the nano. Nano, because, "I just wanted it. It's cute and small". Not for blistering speeds at 1440p/4k. Just... because. The smallest case with a handle. It was a tough call between the silver and the black, but the silver won out. 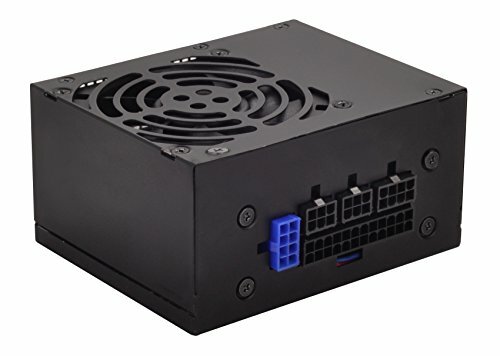 500+W PSU. Because.. well, nano.. These were the parts I told him to pick based off what he needed. L9i: This was a bit of an afterthought, but looking at some reviews of how hot the skylakes run on the stock heat sinks, I was a bit concerned with the tiny enclosure that the TU100's were, so I opted for the best low-profile air solution available. Unfortunately the CPU cooler I wanted, the C7, was not priced so I couldn't wait on this project and got the L9i. This is a fabulous heat sink and came with sooo many bits and pieces; this isn't just a heat sink, it's a whole experience boxed in as a kit. You get everything you need bundled with it. I was impressed at the craftmanship. The fans are so ugly online, but in person, it really doesn't look too bad! I kinda dig the Noctua colors with the brushed aluminum! We chose the GA-H170N-Wifi because we just needed a reliable board at a decent price. We went with this board because of our experience with GA-Z97N-Wifi, which was outstanding thus far, and got this. The VRMs are different than the last board, but overall we didn't have many issues with fitting everything. The RAM. Only needed 8GB and I mean come on, it's effing DDR4!! Awesome. Looks great and works with motherboard on first boot. Samsung 850 EVO 500GB. He didn't need much storage and I really wanted to see what the big deal about these was knowing that they're high quality. I have read that M.2 SSDs (not just these) heat up quickly, which was a little late because we ordered the damn thing. Oh well I warned him when we put it together and that he should note the warranty because he may need to remember it. This video card is #1 reason why we made this computer. 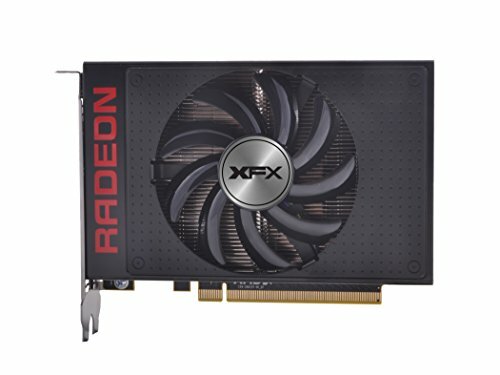 It looks great and tiny and cute, has an XFX sticker on fan (or is an XFX fan, I don't know?) and is completely overkill. I am making sure he gets at least 1 440p IPS freesync monitor, but that will wait a bit until we can scrape together some more money. LOVE THIS CASE. It looks so classy, has a sturdy handle, and made of aluminum. Fairly customizable. If you don't like something in a spot, just unscrew it. There were only a couple of issues with this case, but the end-product was worth it. This power supply was unnecessary but we already had spent like $1300, so we went the extra mile and got the largest great quality one we could find. Came with an ATX bracket in case you wanted to stick this puppy in a case that supports only ATX form factor PSUs. After unwrapping and taking all the pieces out, oooing and ahhing and prepping the floor, we started with getting the CPU, mobo, heat sink, RAM set up. No hitches. The manual didn't state where single channel mode for RAM was, so I went with the closest slot. So maybe one hitch. We then prepped the case by swapping the lian-li fan with the noctua fan I bought him. This was interesting because without looking at the case manual, I was curious as to how the fan came off when I noticed the screws facing in were short screws meant to hold the fan grill in place. Hmmm. Weird. Then it dawned on me that you just slid the fan up and pulled out. Awesome! Now to get the Noctua fan set up. This fan came in a box with splitters and screws and all sorts of stuff. Box opening was an experience. So I saw the rubber posts that are used for sound dampening. Took a bit of force pulling them through the holes in the fan. Then I realized that, hey!.. these are also made to slide down and up when finished with prep. May become a Noctua fan boy (dammit another pun to put on pcpp about fans). We had any cables the case/fan came with either route through the top or down at the bottom. I had my friend slide the fan in the case with cable going up and kept it with the front panel cables. Also the USB 3.0 header and sound cable was routed down below. Fitting the motherboard into the case was a chore because the IO panel was too padded. 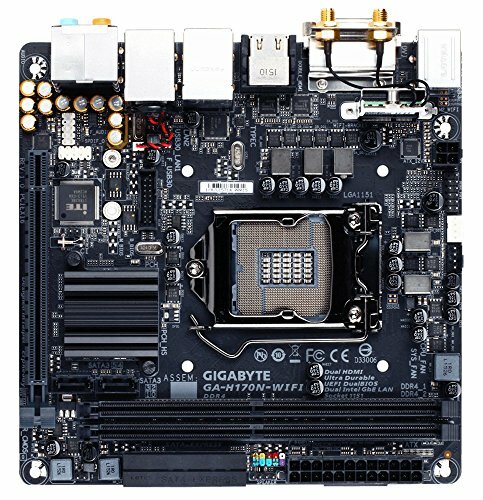 We checked this with and without the IO panel and confirmed that Gigabyte gave us a high-profile(?) IO panel. Thankfully the board is GIGABYTE Ultra Durable ™ or we'd be biting our fingers. A massive headache was the front panel cables. Took forever to set up and unfortunately the board nor the case came with a thingy. It wakes me up in cold sweats just thinking about it. The M.2 i had suggested to him for a cable cutting measure. He didn't recognize it when he looked at it and was like, "what is this thing". It blew his mind that we didn't need the cables like a 2.5" SSD normally needs. Was easy as pushing a coin into a slot. Don't put it in at an angle (like 30degrees or less should be ok). It gently goes in at a tight angle then you just push down against mobo. The standoff and screw attached to the mobo comes off but are incredibly tiny. Bigger than glasses screws, but still really small. There is a piece next to the back PCI brackets that pops off if you loosen a screw or two. Otherwise impossible to attach the video card haha. My friend was on hydrocodone for his wisdom teeth so he was scratching his head for a few min then I asked to give a shot and I immediately looked at the back and he caught my gaze and it dawned on him. Silly guy. After all of that the cables were easy to push around. We attached the mobo speaker, fired it up, then got a single beep at bios. Yay! Noise: This thing is inaudible beyond 4 or 5 inches and the fans are pushing the air quite well. Even the video card which is probably because we were just trying to get bios confirmed. It did had it's fan spinning though. The PSU fan doesn't spin until it hits a certain threshold. This thing is so quiet I was freaking out about whether something was broke or not! Future would entail us getting the bottom of the case modified as a bottom intake for a low-profile fan to help the video card out. NOTE: One thing to note (as stated above), M.2 cards can get hot and without adequate airflow, if it heats up you'll go from blazing fast SSD speeds, to IDE speeds (or something, I don't know xD). This case has some airflow, but I warned him the tight space may not be a a good spot for it so we should look into ways to cool the dang thing. Now to get the Noctua fan set up. This fan came in a box with splitters and screws and all sorts of stuff. Box opening was an experience. exactly!!! even opening the NF-F12 fan feels that way! :) I love noctua!! May become a Noctua fan boy (dammit another pun to put on pcpp about fans). i have all noctua PWM fans in my cougar case and even putting me head inside the case, there is practically no sound. Even when you do hear them, its a nice hum. These fans are SOOOOO quiet! Love it! Yes I was this close *pinches fingers together* from getting my ear lopped by the fan. I was freaking out I couldn't hear anything! This is a pretty big step in innovation, if not to only showcase how possible and economic the future is with current technologies! Eh, the case was his choice. He loves the portability and sturdiness as well as the looks. 0 cable mangt by the way, so I just tucked everything out of the way as best as I could. We went with 1x8GB of RAM for expandability later on down in life and I am hoping (see: praying) that the SSD doesn't fry from lack of airflow. The other parts are blowing quite cool and silent though, so I'm happy about that! Yeah they are cheap enough at the moment. He really likes the looks of the Corsair LPX so we might get another stick because... reasons. So tiny! Excellent power in such a small package! First nano ive seen on here how does it handle? Will update with bench's soon! Can't wait just been busy at work to bother my friend about it. Super fast and very well rounded parts. The only part I might be worried about is the case. Fabulously made but it takes a lot of patience getting the motherboard set and the cables plugged up. Super solid though. I think the only annoying part of this build was the lack of 1 more fan. I would've put a bottom-mounted fan and removed one of the 2.5" bays. We may mod the case by removing the two bays and cutting a hole for low-profile fan to go in for extra airflow. Nice, what are the temps on this? Id sure want to get my hands on that nano lol! hows the L9i holding up? I got something similar. 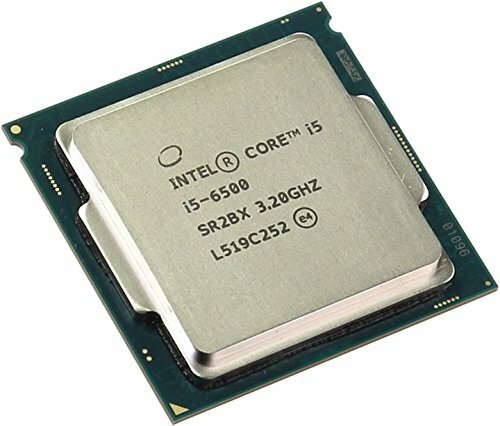 I got the 6600k with the L9i. Idle around 42C and 100% load around 73C, ambiant is 31C. I am guessing since the L9i is rated for a lower TDP, the system stabilizes at a higher temperature. I am trying to find out what other skylakes impact on the L9i. Those are really good temps if that's from benchmarking the CPU! Did you overclock it? We've yet to get windows installed, but will soon! I'm excited to get my friend's rig set up so I can test it and get temp readings, we've been busy at work :S.
Thanks for the reply viking. No I didnt overclock it. When I play witcher 3 on ultra with out hairworks on a GTX 970 I can see that the processor is not being used at all. So didnt feel I need to overclock my CPU. Now that you mentioned it I am tempted to try though lol. Hows the nano performing? As expected? heard about a coil whine on other reviews. Are you getting the whine as well? We are having issues trying to get the driver to read the video card. I'm hoping its only a matter of loose cables or pcie slot, and we tried what we could, but we're going to take it in and get it looked at. love the builds 1+ :). One thought, if you used some custom cables (where you can choose the length) you might be able to clear up the insides of the case a bit. I like how you and your friend haven't gone overkill with the cpu by the way, and good thinking with the single 8gb stick. The cables from this PSU are extremely short, not sure about length but a quick google-fu will give ya the meat. Anyways there isn't really any way to tuck cables neatly behind the mobo tray as there is no "behind the mobo tray" so to speak. The best thing I could do with the current cables was make them get tucked in the upper right corner underneath the slim ODD bay (preferably remove the bay) for the top cables and in the bottom right corner under the projected airflow of the 120mm case fan in front. I can assure you that between the PSU and the heat sink, there are no cables in the way so the air is passing from front to back. If these cables were to get mod'd, it'd probably be increasing the length of the 24pin connector and lining it down along the mobo tray, underneath the video card (away from the nano's fan, duh) and up to the PSU. The CPU pin I would shrink by about half of it's current length since with the PSU attached, it's not really noticeable given the distance from the PSU and would keep slack from getting in the way. The PCIe cable I think would need to be slightly shortened so it goes directly from point A to point B and this would all still have cables that look messy to the viewer but are in fact super efficient for air flow. But if you have any ideas I could try to figure the thesibility and weigh our options with my friend. oh okay that is good to know it isn't affecting airflow too much :), it sounds like you have put allot of thought into this, your friend is lucky haha. Ya with the tight constraints, I had staged most of the cables before installing the motherboard! Hopefully tmw we'll see how that pans out! oh, a Nano build! really cool! teehee thx for the cookie. ya i got the context, i was implying an agreement with you haha! How is the i5? I was planning to get it with a r9 390. The i5 is amazing! Very satisfied with the performance of the rig in general. The only real reason to go with skylake would be the DDR4 RAM though. At this time, I haven't noticed a difference (but I normally game with 16GB on my own setup). The strength of the CPU is pretty typical. It follows the 5%-15% increase in performance to its predecessor. Ivy Bridge, Sandy Bridge and Haswell still perform just as well in most applications, so if you were to go cheaper on the budget, those are still valid options. Skylake does have more features, so the increase in costs might be worth it. Otherwise, wait til Kaby Lake or Cannon Lake since they will be direct improvements and should show up soon after the holidays! Yeah it's very interesting! Still connected to the pcie bus too! But more thankful for the compliment.